Our beautiful baby prints offer the perfect way to personalise a child’s bedroom or nursery. 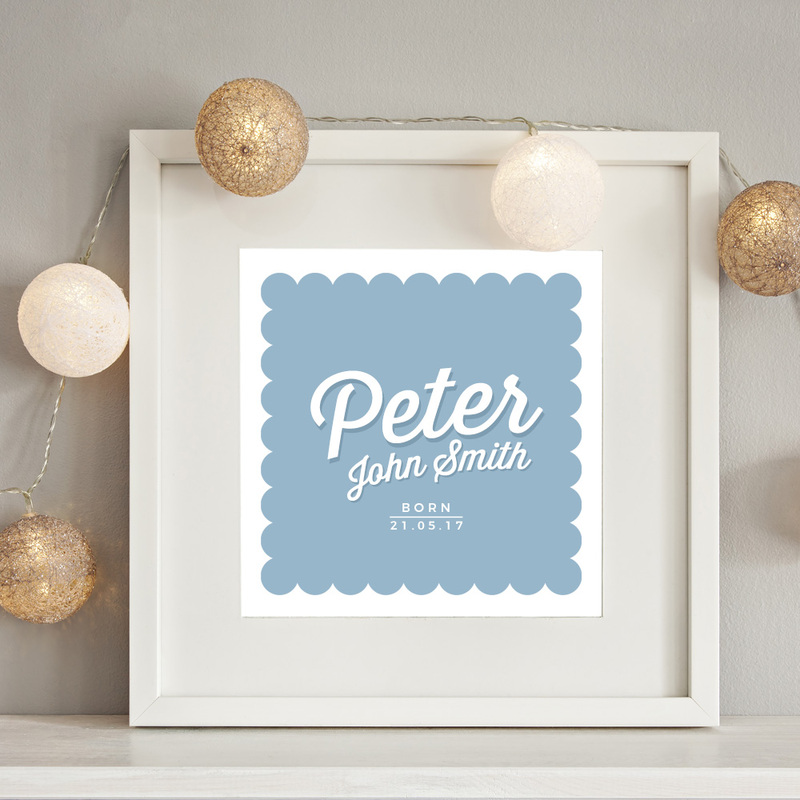 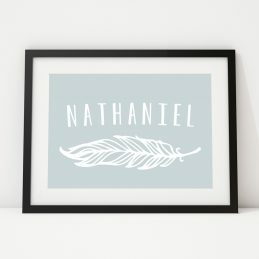 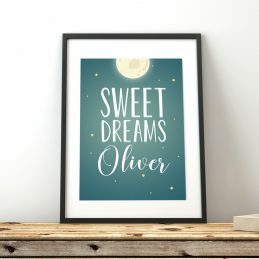 Ideal as newborn or baby shower gifts or simply as just a finishing touch to a bedroom or playroom, our prints offer a unique and creative touch. 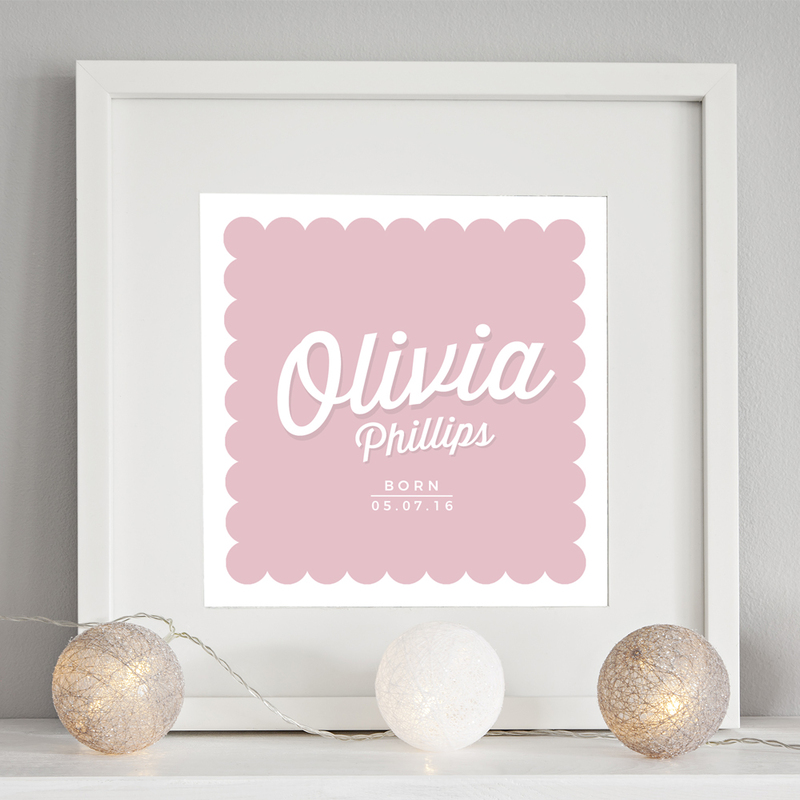 Simply enter the name and D.O.B required for the perfect gift! This print measures 8×8″ in size and is mounted and framed in a 12×12″ MDF frame in either brushed white or black. 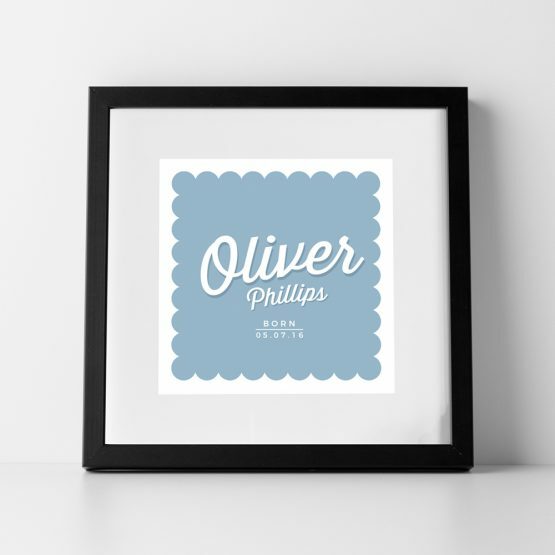 Frame is to hang only and is fitted with plexiglass.